If only all statements could be as eloquent as these divorce announcements, amirite? Still, fans are extremely upset about the dissolution of the relationship, despite having no actual knowledge its inner-workings. Nor are news outlets immune to contact sadness experienced by so much of the internet. 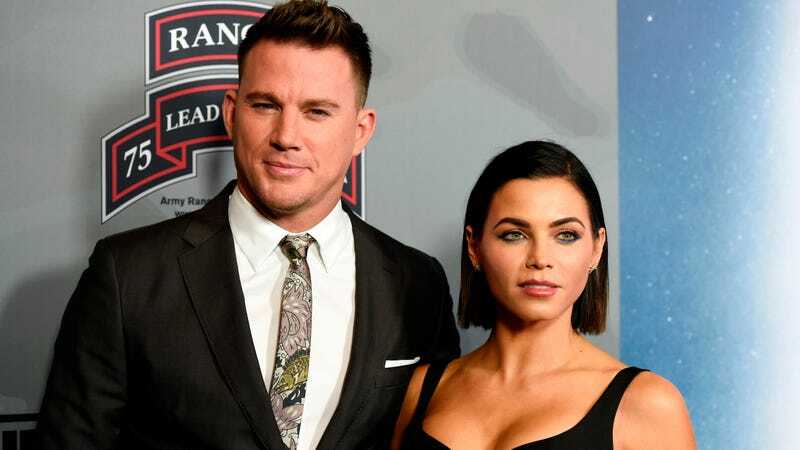 “Channing Tatum & Jenna Dewan Are Splitting Up & Love Is Dead,” writes Elite Daily. “Channing Tatum and Jenna Dewan’s Unexpected Split: Inside Their Love Story Gone Wrong,” bleats a headline from E! On what planet is a nine year marriage a “love story gone wrong”?! It went right for nine damn years! Give these people some credit! The two wed in 2009, after Tatum jokingly told Dewan he never wanted to get married in an effort to throw her off the engagement. In 2013, Dewan gave birth to the couple’s daughter, Everly. What Is Up With Channing Tatum&apos;s Terrible Hair?